My son loves elevators, especially the ones in the high rise office building his dad works in. It’s always a treat to go into the city and visit daddy at work and see the multiple banks of elevators busily dinging , opening and closing. For a few days my son have been pretending to go on the elevator and grabbing my hand to join him. So I decided to make this to help support his play and sneak in some number practice. Gather your materials. 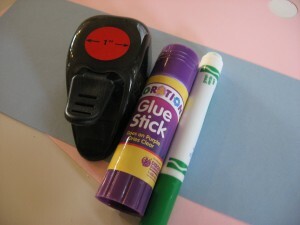 You will need 2 pieces of paper ( different colors), scissors or a circle paper cutter, a marker, glue stick and blue painters tape for putting it up on your wall. 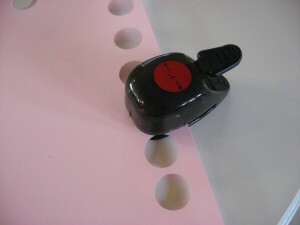 Start by cutting out as many circles as you need buttons. We decided on 12 floors, and an open and close button. 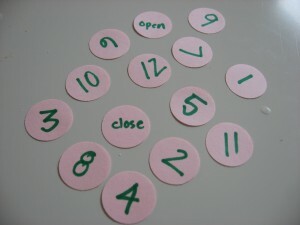 Glue the circles to the other page. Tape it to the wall, and play. We would get in our elevator and decide together what number we would push, later he was the elevator attendant and I would randomly choose a number and he would find it. Once we arrived on our floor we would go to the dentist, go to our office to work, and my favorite ride to the toy store. Your child’s imagination is the limit! 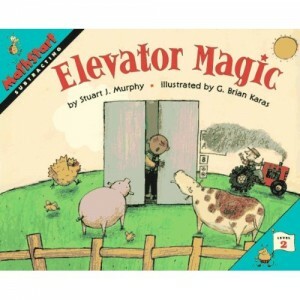 Elevator Magic by Stuart J. Murphy was such an awesome library find. We’d just finished our elevator and headed off to story time at the library and the first book I saw when I got there was this! It’s a simple story about a young boy who meets his mom at work and before they can meet his dad on the bottom floor, they have errands to run in between. His mom doesn’t tell him which number to push on the elevator just how many floors below each stop is. So the readers must subtract along with the little boy before they can figure out what button needs to be pushed. 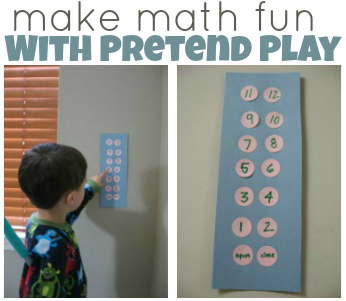 The math is super simple and my almost 3 year old had no trouble with my prompts. Also each stop is a fun surprise, with settings that will appeal to your child like a speedway and rock band. Fun book- so glad it caught my eye. This is a great idea! I know my kids would love something like this! Very cool idea. My daughter loves to go on the elevator (or “alligator” as she calls it) in the building where I work. I will have to make her a homemade elevator this weekend. By the way, is that a Swiffer under your son’s arm? My daughter also loves to push my Swiffer around. As soon as I start cleaning she asks if she can get it out. .-= Amber´s last blog ..My Kids, The Planet and My Wallet =-. So cute! Sounds like just the thing my little Laynie would do. We made a steering wheel the other day so she could pretend to drive while riding in the backseat of the car! LOL. Love your blog! The simple things are always the best. I love that this is an open ended activity and as you said your imagination could take you anywhere. Such a great idea! 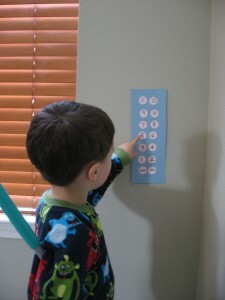 My son loves elevators too and number recognition activities are great for him right now. We’ll definitely try this too. I also love the traveling suitcase activity you posted recently. We have a trip coming up and I plan to do this with our son beforehand. .-= Emily´s last blog ..Takin’ Notes =-. Simple and great! My 3 year old is in love with “ellagators”! SOOO CLEVER!!! What kid wouldn’t love this activity?? When I was a kid I got stuck on a WILD out-of-control elevator— I still take the stairs… so my kids would really like this! hello i’m a reader from hong kong and i love your website and your many ideas, especially that you are pairing the little projects with related books! 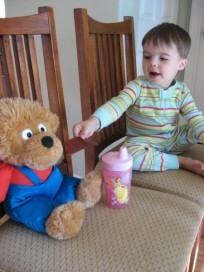 we tried out this elevator play at home and it was a huge hit! thanks again! .-= amy´s last blog ..indoor lift =-. Must read – Alligator in the Elevator by Rick Charette. It’s a song too and I’ve never met a kid of any age that didn’t LOVE this song! We used to play elevator in out entryway when we were kids, wish my mum had seen this back then! 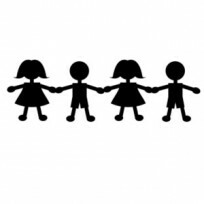 .-= Alison´s last blog ..Growing =-. I love this idea! When we visit my sister at her workplace, a hotel, and stay there, my 3 year old loves to press the buttons in the elevator. 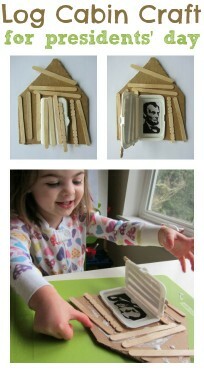 We are off to make this craft right now! NO WAY! I wrote a post about this a few weeks back. 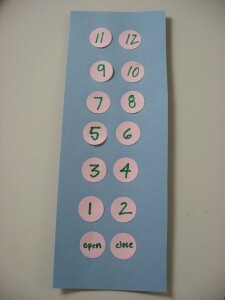 The idea just popped into my head one day as my son also loves elevators and needs to work on number recognition. We’ll have to check out the book you recommended!